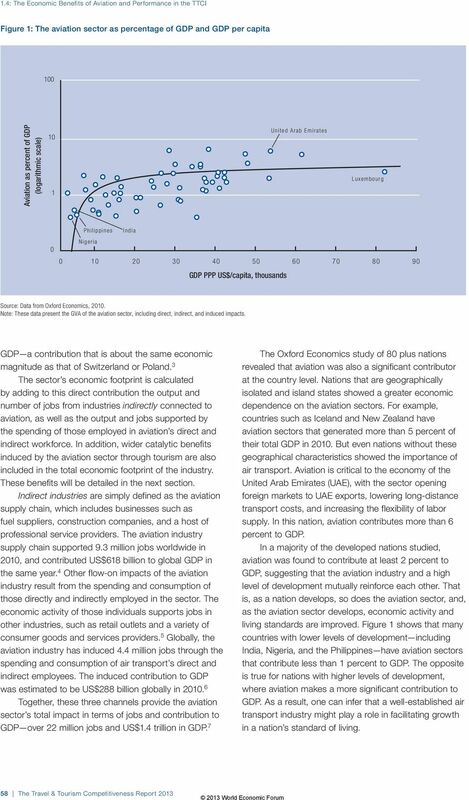 Download "The Economic Benefits of Aviation and Performance in the Travel & Tourism Competitiveness Index"
Economic Contribution of daa Airports The Economic Impact of Dublin and Cork Airports. 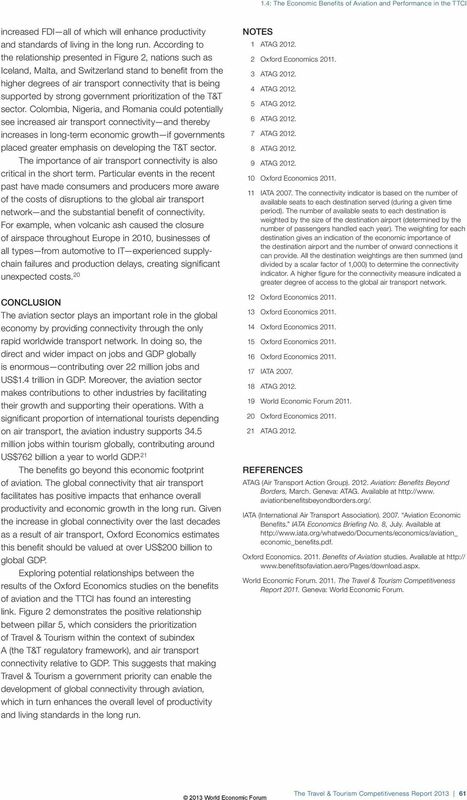 PREPARED FOR daa PREPARED BY InterVISTAS Consulting Ltd.
Benchmarking Travel & Tourism Global Summary How does Travel & Tourism compare to other sectors? Sponsored by: Summary of Findings, November 2013 Outline Introduction... 3 Summary of research structure.. 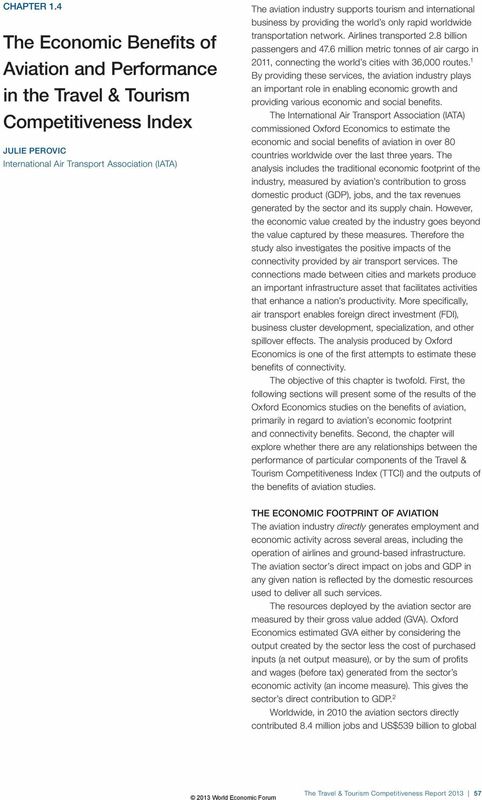 Regional Airports and Local Development: are there any Pitfalls? 1 What is the EU Emissions Trading Scheme, and how does it work? 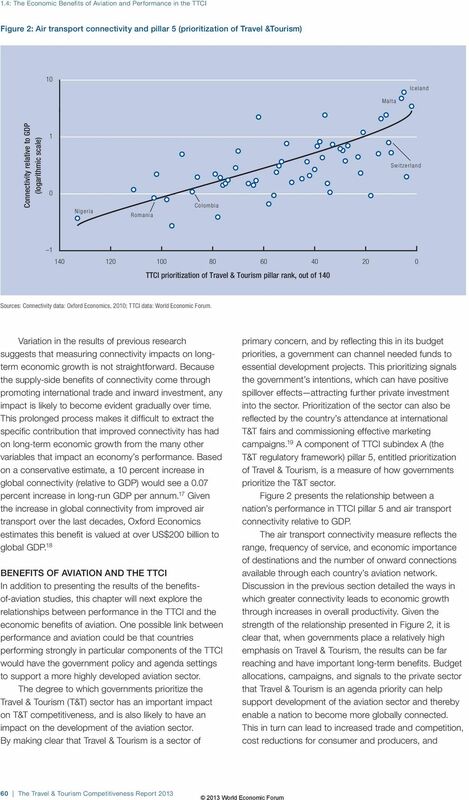 2 Why is the EU proposing to include aviation into the EU ETS? hours per person year. Person years are the same as full time equivalents (FTEs).